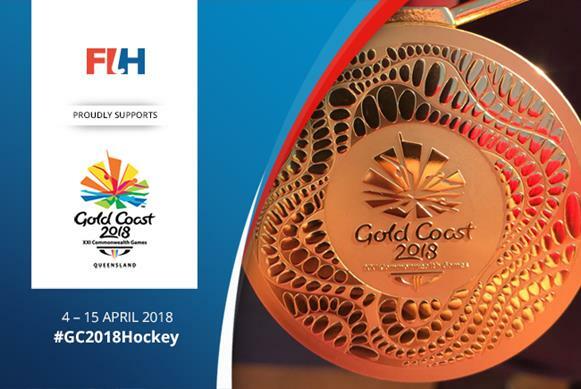 New Zealand have won their first ever Commonwealth Games gold medal as they defeated Australia in the Gold Coast 2018 women’s hockey. As a result, Australia picked up silver while England won bronze as they beat India. In the final, New Zealand took the lead through Shiloh Gloyn in the 28th minute when she smashed a shot beyond goalkeeper Rachael Lynch to give the Black Sticks a 1-0 advantage going into the half-time break. Whilst Australia had their chances, New Zealand continued to dominate and in the third quarter, penalty corner conversions from Rose Keddell and Olivia Merry put them 3-0 ahead. Australia’s Hockeyroos battled hard and made a brief comeback through a Jodie Kenny drag flick in the 50th minute but it was to be New Zealand’s day. Anita McLaren sealed their historic win in the 56th minute through a penalty corner to make the final score 4-1. In the bronze medal match, Sophie Bray was a hat-trick hero for England as they defeated Asian champions India to secure their sixth consecutive Commonwealth Games medal. Both teams took time to get into this match and although India challenged England goalkeeper Maddie Hinch on several occasions, England showed their ruthlessness in front of goal. England pulled ahead just before half-time through Hollie Pearne-Webb. From a penalty corner she misjudged the trap but fortunately had enough time to make the strike herself, which to her delight ended up in the back of India’s net. After the break England’s Sophie Bray lit up the Gold Coast Hockey Centre, her first goal the best as she perfectly executed a backhand strike into the top corner in the 43rd minute. She then got her second of the day six minutes later. Laura Unsworth made it 4-0 as she scored from a tight angle before Bray completed her hat-trick with only four minutes remaining. The three-goal hero had one last influence on the match as she set up her captain Alex Danson for England’s sixth. That result was the 10th consecutive year the women have medalled at a major hockey event as either England or Great Britain. Gold: Australia 1, New Zealand 4. Bronze: England 6, India 0.